Well, it is day 5 of the fabulous MFT Shaker Card Week and sadly this is the final day of the week long blog series that has been dedicated to all things shaker card! I hope you have been inspired to create your own shaker cards! The shaker theme for day 5 is "Peek-a-boo Shaker cards". 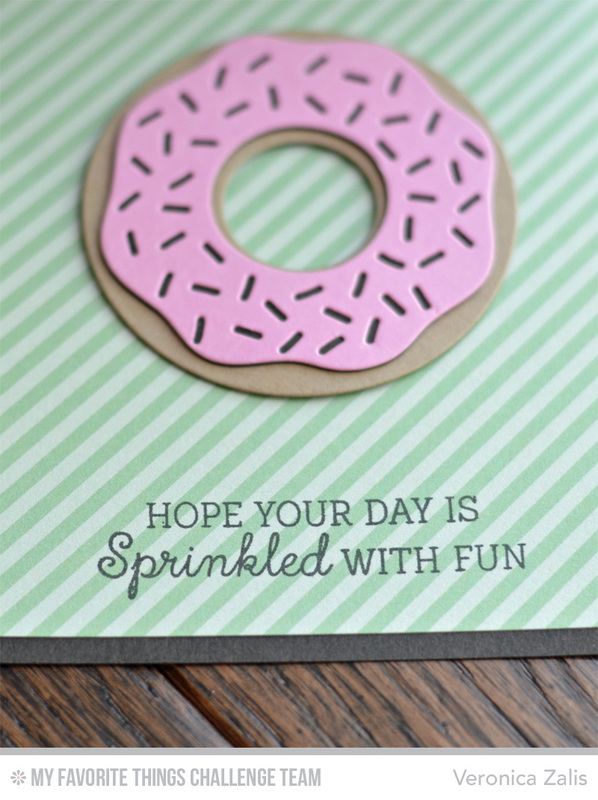 I used the adorable Laina Lamb Designs Donuts and Sprinkles stamp set and dies to create my card. Check it out! I chose to put the donut on the inside of the card and stamp another sentiment. I love the way it turned out, especially for it being my first time making a peek-a-boo shaker card! I hope you have enjoyed MFT Shakers Card week, and I hope you will share your shaker cards on the MFT Facebook page! I would love to see your shaker cards! Thank you for all of the sweet comments, it has been so much fun! Have a great weekend! I love it all - -the color combination, the design, everything! Great card! You ladies sure know how to shake up these products! Great job all around! Gotta love a donut shaker...this is so much fun! Super cute! I love the see through to the donut!! Very creative! Oh this is so fabulous, love the colors.